Both cannabis connoisseurs and first-time customers have made Green Dot their brand of choice — and for good reason. 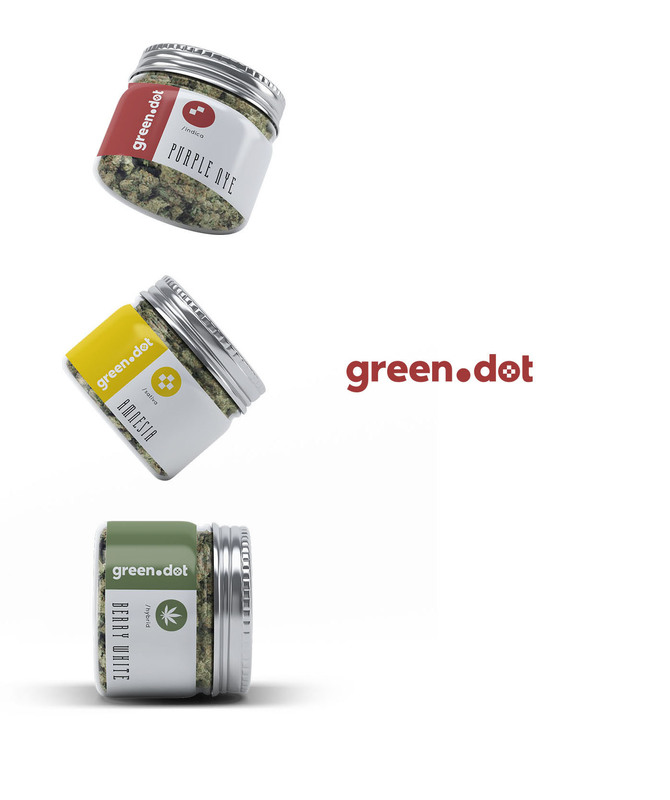 Green Dot’s friendly “bud-tenders” are highly knowledgeable and help to create a welcoming environment. 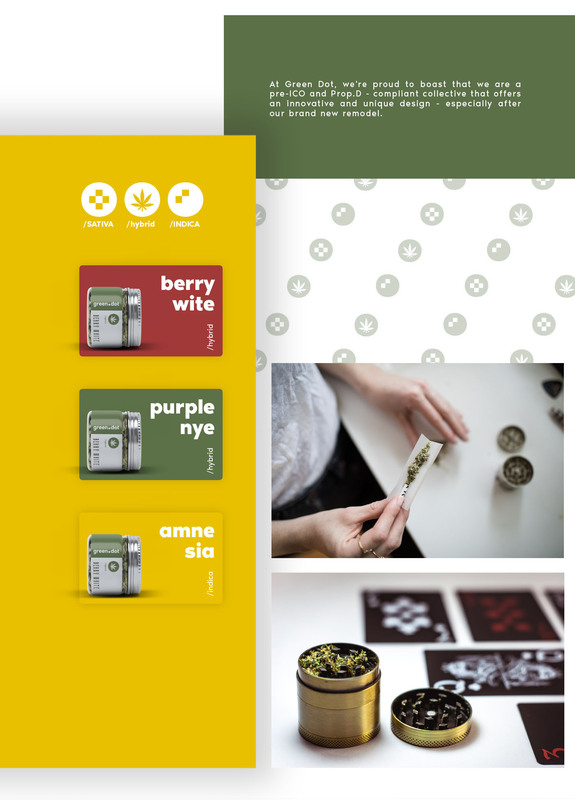 These bud-tenders not only educate consumers but offer products considered by many to be among the best in the industry. 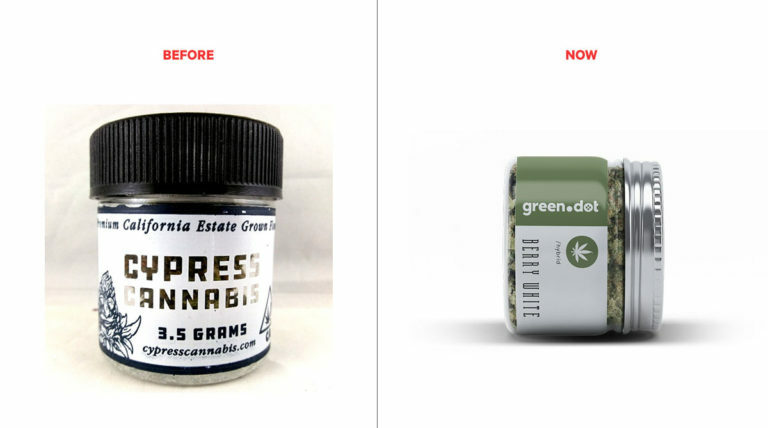 Previously, the Green Dot staff was unsure of how to translate the brand’s identity into its packaged goods. The brand’s website, marketing materials, and social media presence were all fragmented and inconsistent. 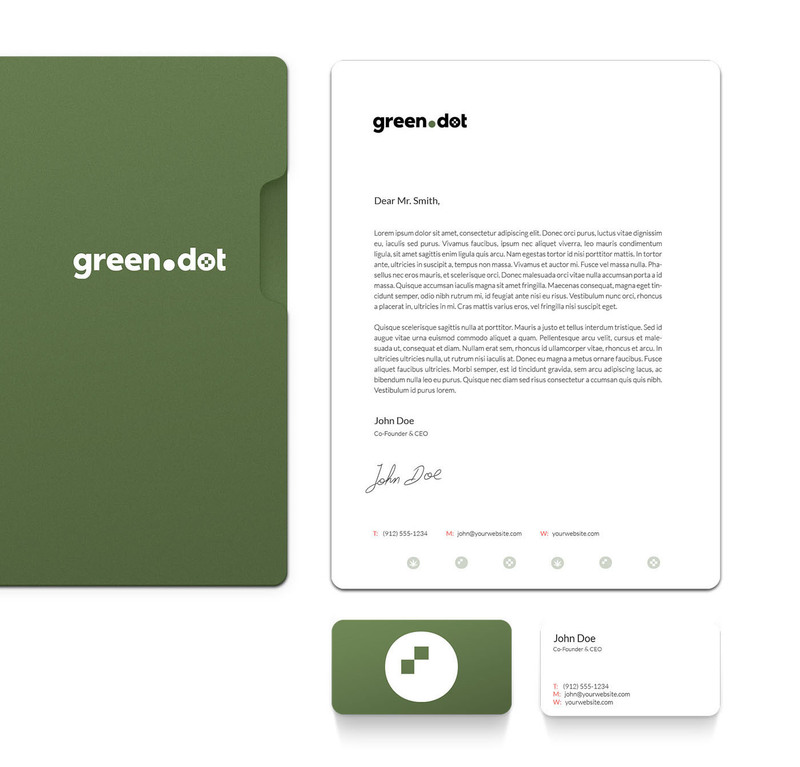 To help Green Dot, I created a brand identity that would represent the brand and its place within the cannabis industry. The placement of the logo and product name were designed to be consistent across the product lineup, yet the colors and symbols were changed to make each product easily identifiable and memorable for returning customers. To convey the quality of the brand and its products, plastic jars were swapped out for more appealing glass jars. By going with glass, aromatics and flavor quality were also noticeably improved. The next step was to evaluate the platforms that could be utilized by the brand. The staff was instructed on how to use social media and web platforms to interact with customers and grow the brand. We then created business cards, letterheads, social media profiles, and elegant inserts to be shared. Once the brand was given a clear visual identity in its products, the final step was to bring these new brand guidelines to the web. To meet the expectations of the target audience, the website is mobile-friendly and features a clean, modern aesthetic.